The threat of a cancelled treaty has Russia rattling sabers. You certainly wouldn’t want to stand in front of it, but Peresvet probably won’t be used against actual people. It’s far more likely target and disable incoming missiles or drones than it is to vaporize soldiers, according to GlobalSecurity.org. The announcement, complete with a sort of unboxing video of Peresvet, seems to be a taunt directed squarely at the U.S., Gizmodo reports. In case you missed it, the U.S. threatened to pull out of a key missile treaty yesterday. Tearing up the treaty would mean that the U.S could deploy nuclear missiles aimed at Russia on allied turf in Europe, and Secretary of State Mike Pompeo threatened to do just that, according to The Guardian. The State Department’s decision comes in response to perceived Russian violations of the treaty, including developing new types of cruise missiles. In light of Russia’s laser saber rattling, it would seem that the State Department’s threat isn’t having the intended effect, and may have instead increased tension between the old Cold War powers. 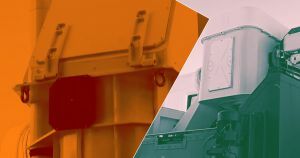 While the contested treaty deals with nukes rather than lasers, Russia’s video may herald an arms race of futuristic weaponry — the U.S. military has been developing laser weaponry for years. Here’s to hoping the adults can use their words before we all start blasting each other.